Clovis Taittinger, named after a French king, is certainly royalty in the world of French Champagne. 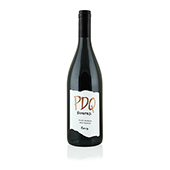 In 2007 he joined his family's business, where he represents their name worldwide and is in charge of grape suppliers and grower relationships. One of Champagne Taittinger's claims to fame is that they were the first to use Chardonnay grapes for Champagne. The company's focus is crafting offerings that are clean, elegant and soft. Clovis joins Paul in studio to taste through a range of his family's Champagnes, each with its own distinct character. Clovis says, "Champagne is about pleasure and love," and you can taste that care and passion in the glass. Today, we welcome Clovis Taittinger to our studio. Beautifully aged at the winery and bursting with flavors of berries and cassis, Vrai Copain's Cabernet Sauvignon is a wine you'll want to share with a true friend. Paul and Ed are both wowed by a crisp, ultra-fresh 2018 Chilean Sauvignon Blanc from Yali that is structured and firm, with bright stone fruit and lime zest. 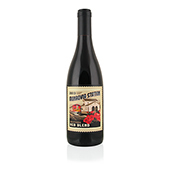 Monrovia Station's Red Blend is powerful, with hints of Syrah in the nose and a wallop of rich Grenache on the palate. Angeline brings us 100% Sauvignon Blanc that's pure Sonoma all the way – at an incredible price. 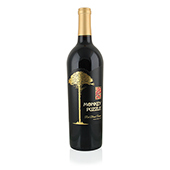 Monkey Puzzle's Cabernet Syrah is an unusual blend that tastes like both Bordeaux and the Rhône, but is actually from Chile. 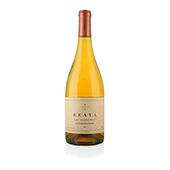 Grapes for Reata's extraordinarily complex and graceful Pinot Noir were sourced from three California counties: Sonoma, Monterey and San Benito. The Big Red Wine Beast delivers again, with a Reserve Cabernet with tons of dark fruit, earth and a hint of leather. Richemer's Viognier offers scents of roasted almonds in the nose and remarkable breadth on the palate.